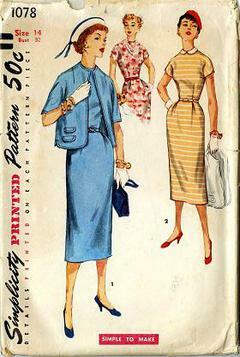 1955 Simplicity #1078 vintage sewing pattern, misses' slim dress with detachable collar and jacket, size 14. "Simple to Make" ensemble features slim dress with short kimono sleeves. 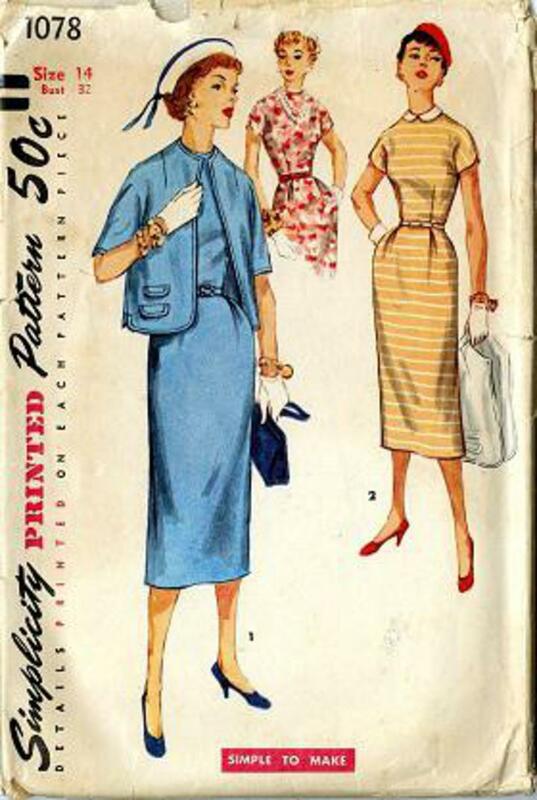 There are pleats at each side of skirt back panel. Contrasting collar is detachable. Jacket, has kimono sleeves, and is cut of dress fabric, or contrasting fabric.